Our Denver patients experience a higher exposure to UV radiation due to elevation making it critical to take the proper steps in protecting your eye health from harmful UVA and UVB rays. Overexposure to UV rays can actually lead to sunburn, cataracts, macular degeneration, eyelid skin cancer, and other serious health conditions. Both prescription and non-prescription sunglasses provide the proper protection against UV radiation. Glare is another concern for your ocular health, as glare can cause eye fatigue, headaches, squinting, reduced vision, and potentially be blinding. Without the proper protective eyewear, glare on the road can even become the culprit for a horrible car accident. Our line of sunglasses and prescription sunglasses ensure that you’re protected from UVA and UVB rays in addition to blinding glare. Prescription sunglasses actually use the same prescription needed for eyeglasses making it that much more convenient when you stop in for your annual examination. We like to recommend annual eye exams since your prescription can change frequently and prioritizing your eye health is always important. Stack Optical is proud to have our own on-site prescription sunglass production lab. We produce all the lenses for both prescription sunglasses and eyeglasses here in our store. Rather than having to ship your frames to a third-party production lab, all lenses are produced here to ensure optimal quality. Being able to produce our own prescription lenses also means lower costs and production time for every patient. Your hunting and shooting style is as unique as you are. 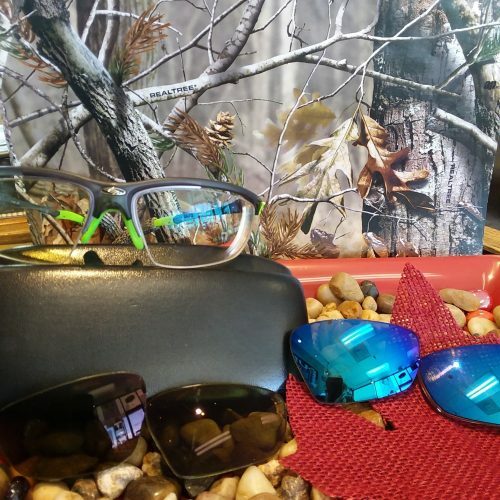 Come on in to Stack Optical and let owner and Certified Optician Allen Stack customize a pair of specialized glasses that will make your next experience at the range or in the field better than ever before. He can fabricate glasses that will help you see both the sight and the target clearly, whether it is a paper bull’s-eye or an eight-point buck. As an experienced shooter himself, Allen is familiar with both the needs of the participant as well as the limitations of standard eyewear. 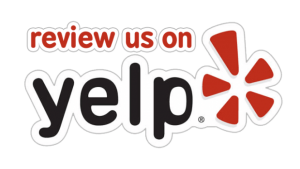 He will take into consideration your prescription, type of firearm, and stance, as well as your usual shooting conditions, and create a lens design best suited for your needs. You may require a multifocal lens to be able to focus on both the sight and the target. Allen can design a lens with the bifocal at the top of the lens, rather than at the bottom, for more accurate sighting. Even if you wear progressives, it is possible to add a lined segment at the top of your lens for this purpose. There are also various tints that are useful for increasing contrast, dealing with glare, and helping reduce eyestrain. If you find yourself shooting in different lighting conditions, you will need dark tinted lenses as well as clear and perhaps yellow lenses. This is where the Stack Sports Pack comes into play. This kit allows you to change your lenses to suit your environment, so you don’t have to have more than one frame. Imagine being able to switch from one color to another as the sun gets higher in the sky, or as the rain clouds begin to take over. Ask Allen to show you how you can personalize your own kit. Using impact-resistant lenses which also block harmful UV rays, your new shooting glasses will be an extremely useful addition to your recreational gear. 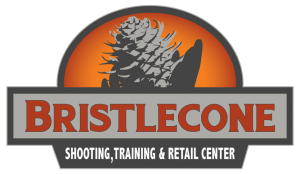 “Bristlecone Shooting, Training & Retail Center highly recommends Stack Optical, By Jacqueline Clark, Owner.” Bristlecone Shooting is located at 12105 West Cedar Drive, Lakewood, CO 80228 – 303-985-0989. www.bristleconeshooting.com. Imagine interchangeable lenses to support your outdoor lifestyle. Stack Optical understands the outdoor experience here in Colorado. To enhance your next outdoor activity, check out the Stack Sports Pack! This includes one frame with the option of multiple lenses and tints that will enhance your next outdoor activity. From golfing to cycling, hunting, fishing, or target shooting, Stack Optical has you covered. Imagine, one pair of glasses custom made for you, with the vision correction you need and the proper tint you require for your specific outdoor activity. 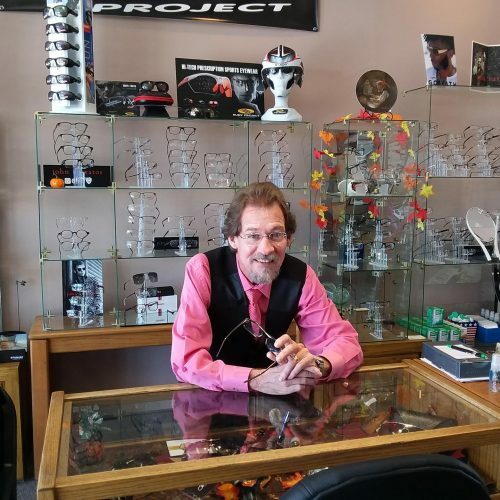 When making your appointment concerning hunting and shooting glasses, please make your appointment with Allen Stack, he will give you the instructions needed for a custom fitting session with your firearm. Be safe on the slopes with ski goggles with your prescription inside. Skiing and snowboarding are some of the best activities to enjoy. However, people with vision problems such as nearsightedness or farsightedness find it difficult to enjoy sports like these because wearing goggles is required for safety purposes. Some people who wear prescription eyeglasses wear them underneath their ski goggles. However, wearing your prescription glasses under your ski goggles can make you feel uncomfortable, but you need them to be able to see what you’re doing. Your own eyeglasses can fog up under your goggles and cause a dangerous situation. At Stack optical, we can help alleviate these worries. 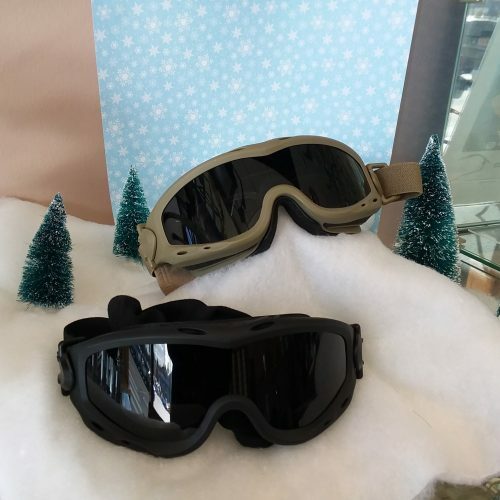 You can enjoy skiing and snowboarding again with our prescription goggles solution. Just like eyeglasses, sunglasses can really make a statement and give anyone a great confidence boost. 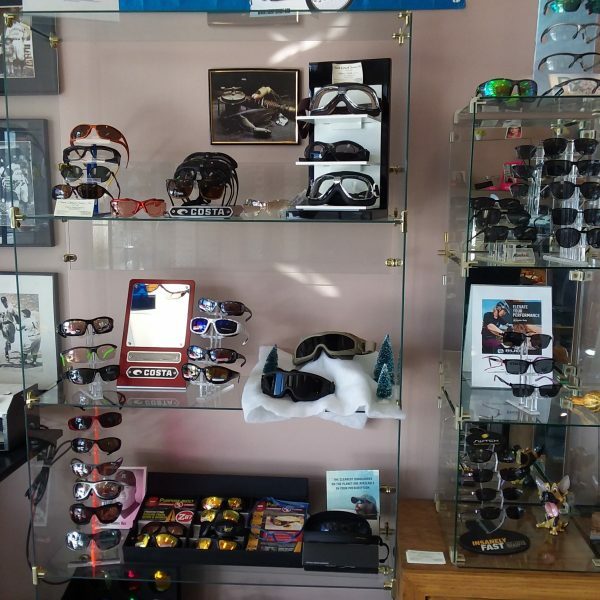 Our extensive sunglass inventory promotes all the popular brands offering our patients the best styles in Denver. As always, if you have a particular pair in mind that you don’t see in our store, we’re happy to custom order them just for you. We work tirelessly to ensure our pricing is unbeatable so you won’t have to sacrifice money for style. Buying prescription sunglasses can be an important investment for any patient. That’s why we stand behind every single pair of prescription sunglasses we sell and can usually offer complimentary adjustments, corrections, and realignments. We are also the industry leader in repairs– our technicians can help with more serious damages as well. For more information regarding prescription sunglasses, please contact us at 303-321-1578!